Las Vegas is all about change. Favorites come and go. Some remain solid and by the time they bid farewell we are left saddened. Then, there are others that were once good, but those days have come and gone. I'm sad to say this happened with Stack at Mirage. Eight years ago it opened with Brian Massie at the helm. 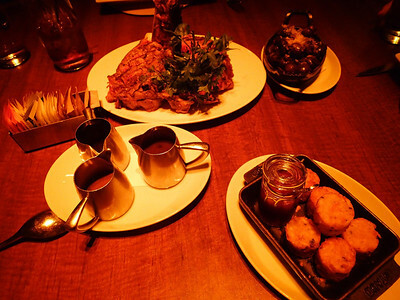 The space was beautiful, service was exceptional and the food was everything good ole American comfort food should be, and the playful twists made it fun. Over the years, we've dined at Stack more than any other fine dining restaurant. We loved the relaxed vibe, the stacked waitresses and the classic tunes. The hot rocks, pork chop and lamb shank were outstanding. The bacon cheddar bread? Oh my goodness, we couldn't get enough. We'd return for that alone. Over time, they no longer offered the bread. The classic rock was replaced by club beats and the prices climbed while quality sank. We noticed a decline about a year ago, and it was confirmed a few months back when we took Frank's cousin out for her birthday. My brother joined us, too, he was eager to try the lamb shank he's heard so much about. I even called beforehand to confirm it was still be served. You can imagine our disappointment when we couldn't locate it on the menu. We waived down our waiter and sure enough, it's been eliminated. This was likely the sign to leave, but we ignored it. We've always been pleased with the steak selection and everyone but me opted to go that route. I chose the halibut ($42). 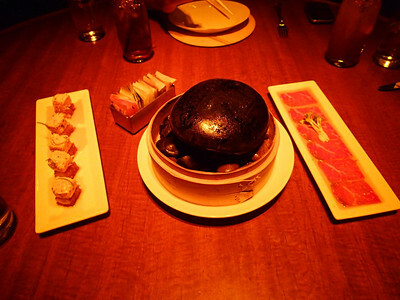 We started with hot rocks ($21) they were still excellent. The Spicy Crab ($21) was a new item and it didn't pack any punch. It left us pretty underwhelmed. 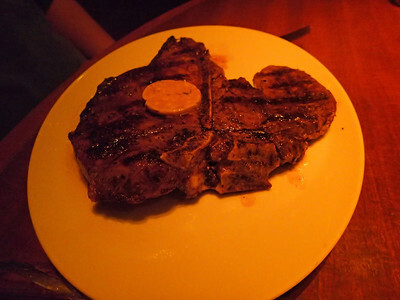 We've enjoyed the porterhouse for two at Brand. We expected the same quality here at Stack but it fell a bit flat ($96). It was plenty for two to share, but it wasn't as flavorful or tender as we know it could be. We also shared tater tots ($11) and roasted mushrooms ($9). The tots used to have pieces of rich smoky bacon and cheese would ooze when you'd bite into eat tot. That's not the case anymore. This was my brother's first fine dining experience. he went all out and ordered the porterhouse ($62). I wish I could say he was able to reap the perks and find the value of a quality piece of meat. It was very average at best. He was disappointed and I was bummed for him. My halibut was the best dish of the evening, the exception being the hot rocks. 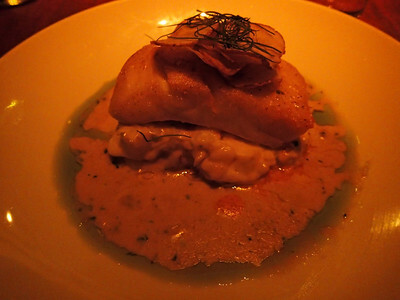 The halibut was nicely prepared with a hard sear and it was very fresh. After finishing that meal, the warm comforting mahogany walls suddenly felt somber. A longtime favorite had faded. We knew we wouldn't be back. We suspect it would soon shutter. I didn't see it surviving long after the opening of Tom Colicchio's Heritage Steak. I haven't heard any news of it closing, but I certainly wouldn't be surprised if it did.